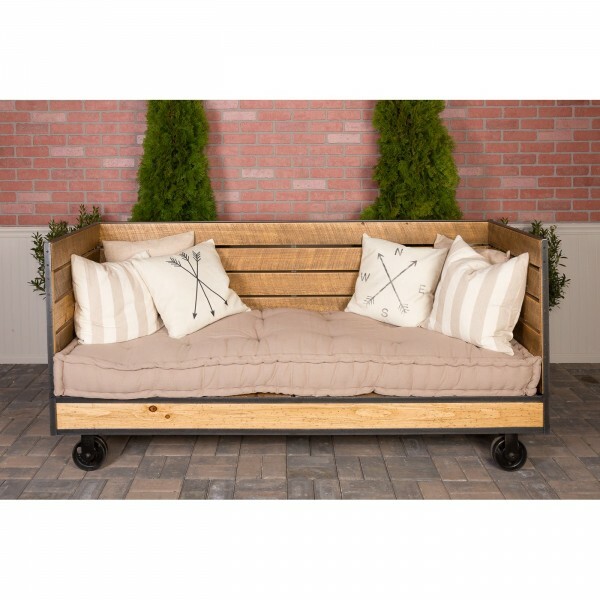 Industrial Farm Sofa by Napa East. 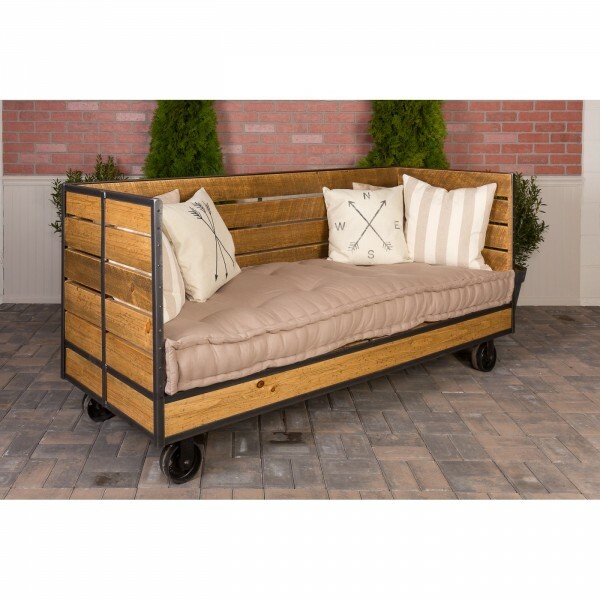 Wonderfully creative and well designed farmhouse industrial style sofa. Made from hand worked steel and retired rough sawn barn wood. Heavy duty iron frame with actual vintage factory cart metal wheels. Comes with cushion and 4 pillows. 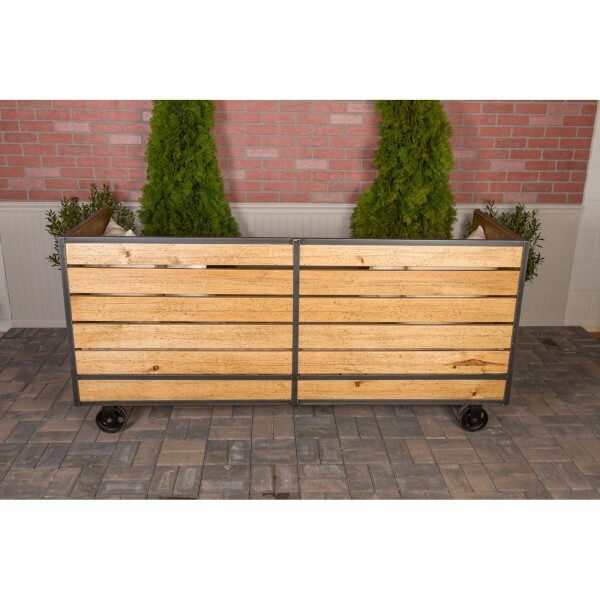 This is a truly one of a kind design handcrafted in the USA by passionate craftsmen. Wonderfully creative and well designed farmhouse industrial style sofa. Made from hand worked steel and retired rough sawn barn wood.